There are also quite a few private houses, bungalows and private rooms on Airbnb. The cheapest private room I’ve found was US$26, entire houses/ bungalows start at around US$50. 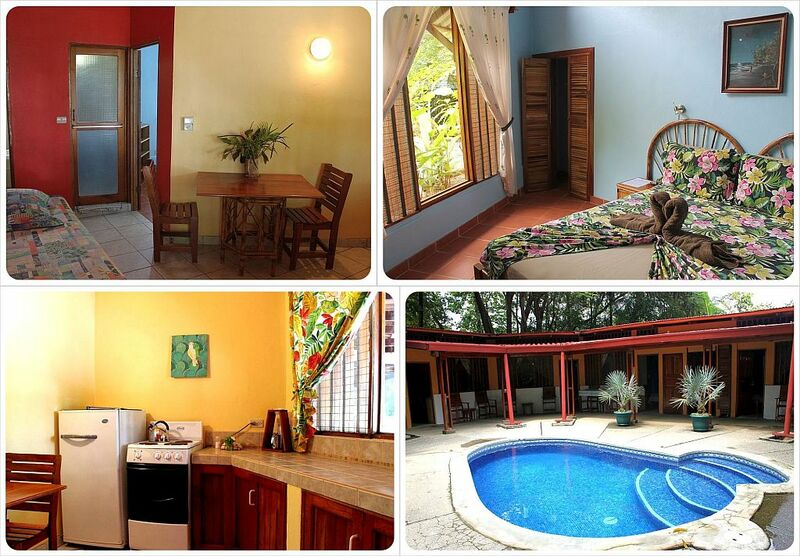 Check out Airbnb homes in Cahuita here. If you’re not signed up with Airbnb yet, use my referral code and get up to $40 towards your first trip! Cabinas Atlantic Surf may be a modest and moderately-priced hotel, but the managers are five-star all the way. Sometimes we rave about a hotel’s amenities, other times it’s all about the beds, showers or the view. At Cabinas Atlantic Surf, we ended up staying an extra night at the hotel thanks to Wendy and Javier, the super-friendly couple in charge of this hostel in Cahuita, Costa Rica. 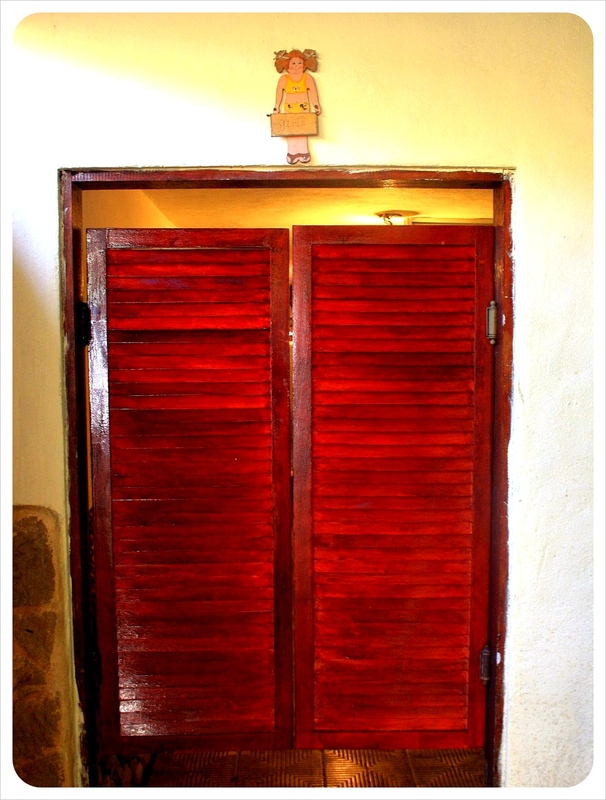 The cabinas themselves are sturdy wooden rooms with large screened-in windows. Each room has one large double bed and one small single bed – both comfortable and clean – and an en-suite bathroom with shower (some hot, for $$ extra). The house is surrounded by a luscious green garden and resident cat, with a path leading to a newly-built kitchen built by Wendy and Javier at the back of the hotel (see Stand Out Features below). Not to be confused with the actual owners, Jenn and Shannon, this Tico/American couple to manage the hotel. Javier, from California, splits his days between keeping the hostel in top condition, chatting with guests, and playing the guitar with a couple of other hotel owners on the block, while his girlfriend Wendy, from Heredia, Costa Rica, tells stories and makes you laugh while she sweeps away. The four of us talked about everything from road trips and music to ideas for new companies and renewable energy. For two digital nomads to stay two nights in a hotel with no wi-fi means we must have been plenty charmed by this pair. Wendy built the kitchen, so it is brand new, spotless and comes fully equipped with an electric kettle, traditional Costa Rican coffee maker, toaster oven, toaster, a stove and a fridge. 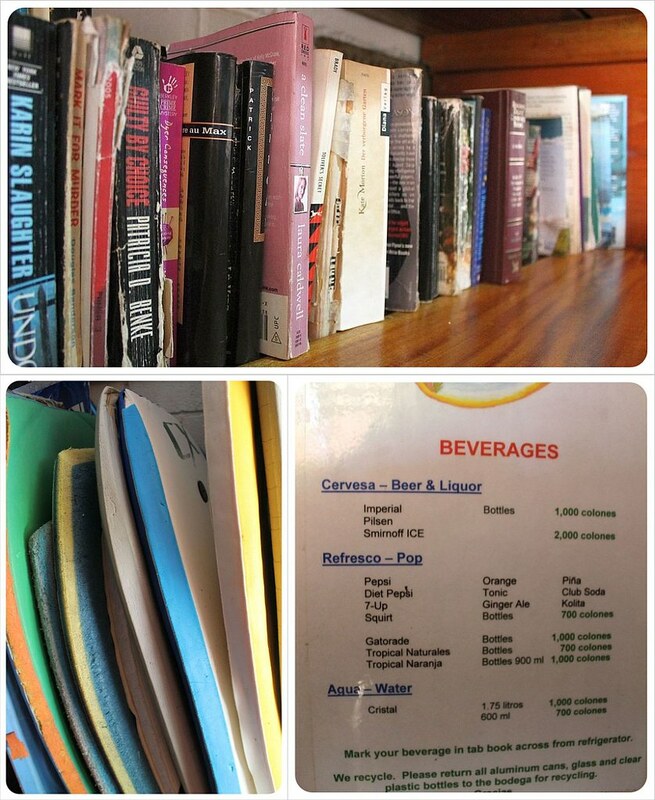 Wendy even keeps spices, oil and other basic ingredients available for guests to use. There is a small table with chairs, but the kitchen could use an additional dining table would have been nice as it was awkward to eat at the table. Stand Out Feature: Stay for free! 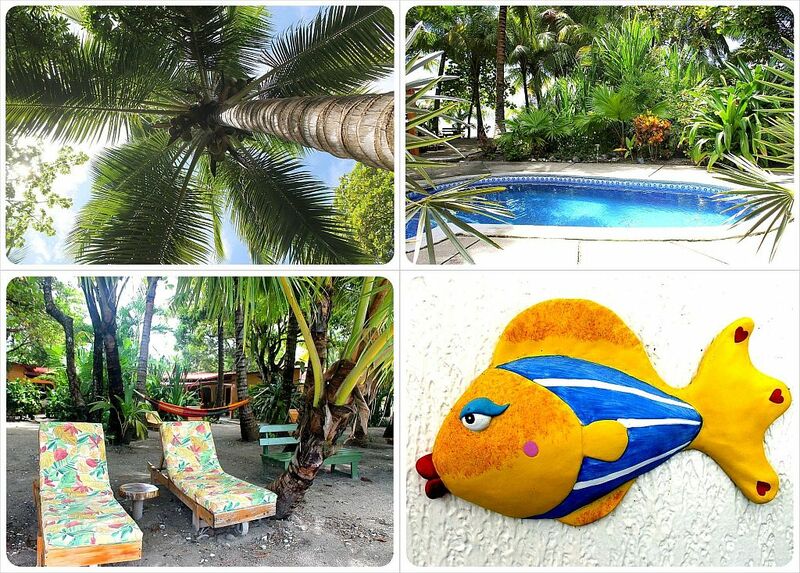 Cabinas Atlantic Surf offers free accommodation in return for help at the hostel, a fabulous deal for long-term travellers looking for an extended stay in Cahuita, Costa Rica. Cabinas Atlantic Surf does not have wi-fi. You can try to get online from the neighbor’s connection, but it is not reliable. We know not all hotel guests require wi-fi, but having had internet access in far more remote locations, it should be possible in one of Costa Rica’s most popular tourist destinations. Who knows, we may have stayed even longer, too! 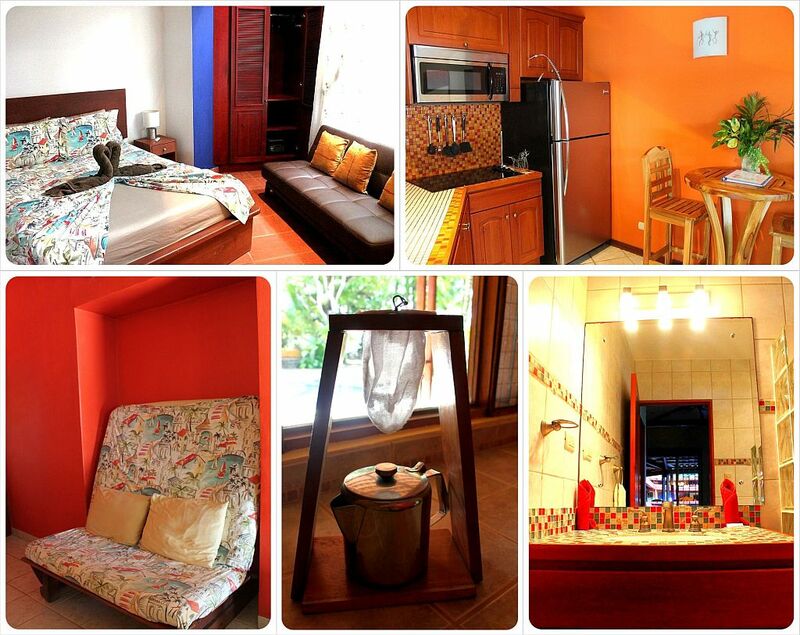 Cabinas Atlantic Surf offers basic, clean and spacious rooms at a good price. 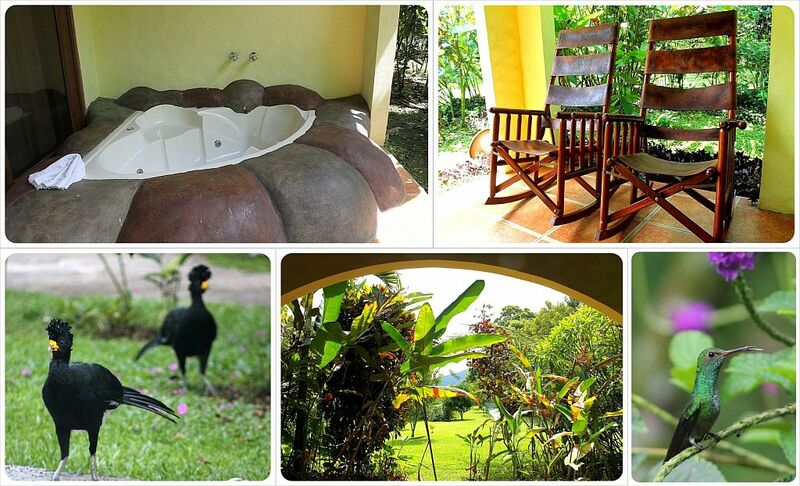 All rooms have a private bathroom as well as a little balcony with hammocks which makes for a great space to relax with one of the huge cups of fresh Costa Rican coffee. The kitchen is an inviting space to prepare meals and is the perfect place for travelers to mingle. The proximity of the hostel to the (free) National Park makes it a breeze to spot sloths or monkeys any time of day. Sitting on the bus from Quepos to our hostel near Manuel Antonio National Park, we knew that, at $10 per night per person, the Backpackers Paradise Costa Linda would not actually be paradise. And on arrival, it was clear we were right. But even though we can provide a list of imperfections with the place, we still highly recommend this budget hotel in Manuel Antonio, an obligatory stop on any Costa Rica vacation. The best thing about Backpackers Paradise Costa Linda is that the rate, $10 per person per night, applies regardless of what type of room you stay in – whether its in a bed in a 4-6 person dorm or in a private single or double room. Rooms are spread out over two floors, and while the dorms are a bit dark and grungy (but still far better than the 12 to 14 bed dorms we have seen! ), the single and double privates are basic but nice, with comfortable beds, strong fans and peace and quiet despite the location of the rooms at the back of the popular restaurant. Call ahead to secure one of the private rooms, to make the most of that $10 price. 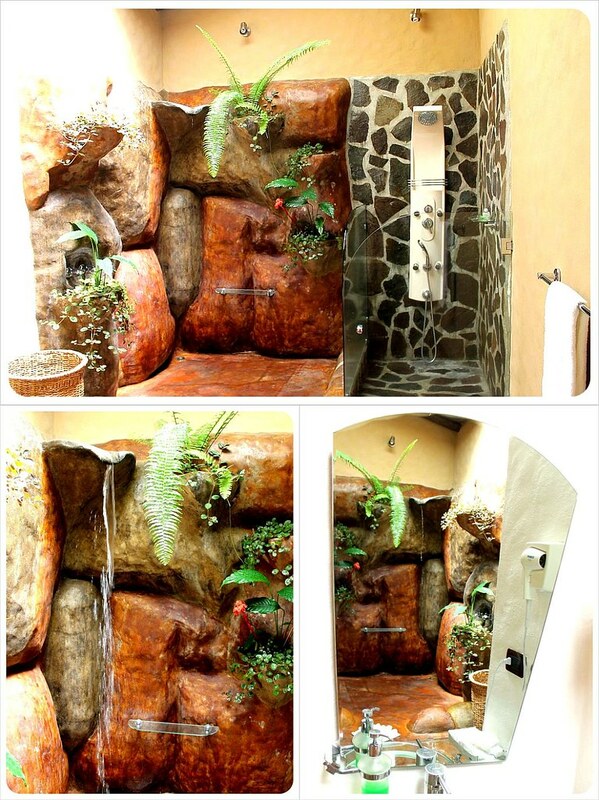 Bathrooms, also shared with restaurant guests, are cleaner and brighter than might be expected. Despite heavy use by guests and diners, the bathrooms in this Manuel Antonio hotel always had plenty of toilet paper and were never overly dirty. The showers are clean, and come with large rain showerheads and good water pressure. As far as shared bathrooms go, we have seen much, much worse. The front of the building is the restaurant/bar and is hopping morning, noon and night on the weekends. The menu is basic, cheap and good for international tourists of all ages, made up mainly of pasta and rice dishes, and the breakfast (see below) was certainly a stand-out feature of a stay at this hostel. During the week, the restaurant is closed after breakfast and before dinner. When not hanging at the beach in Manuel Antonio, hotel guests are welcome to hang here all day, drinking the bottomless cups of free coffee and tea on offering, and using up as much of the free wi-fi connection as they would like. The hotel also offers a laundry service (expect to wait at least one day longer than you’re told to get the clothes back) and the most comprehensive collection of German books we have seen in any book exchange anywhere. While we’ve mentioned the location of the hotel as a Stand Out Feature below, we want to mention that both the pristine beaches inside the park and the main town beach are absolutely beautiful. 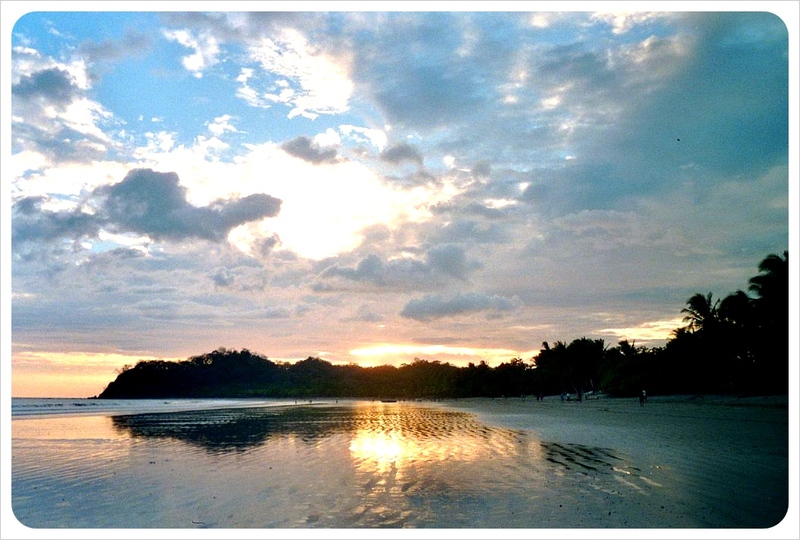 Plan in two or three days of utter laziness around your Manuel Antonio National Park visit, and make sure to soak up some Costa Rican sun here. 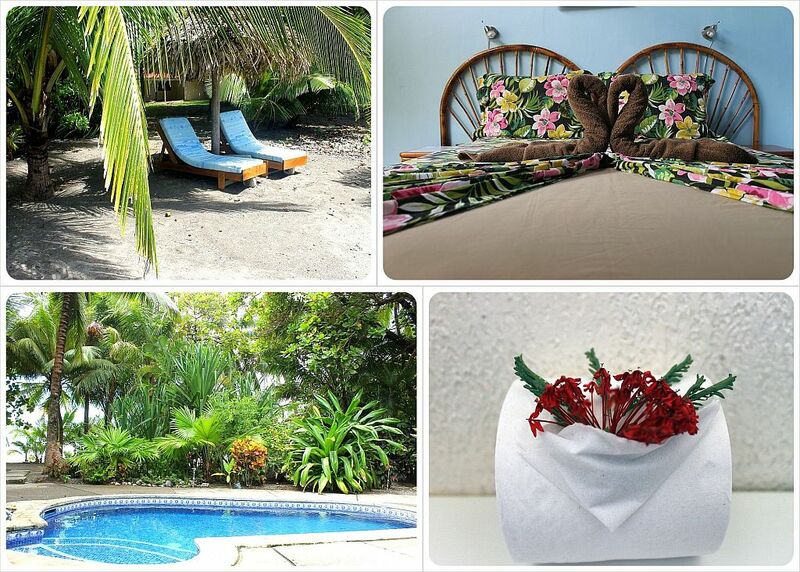 Backpackers Paradise Costa Linda is the only budget accommodation option located directly in the small town of Manuel Antonio itself, and is just 100m from the entrance to the National Park and a two-minute walk from the beach. 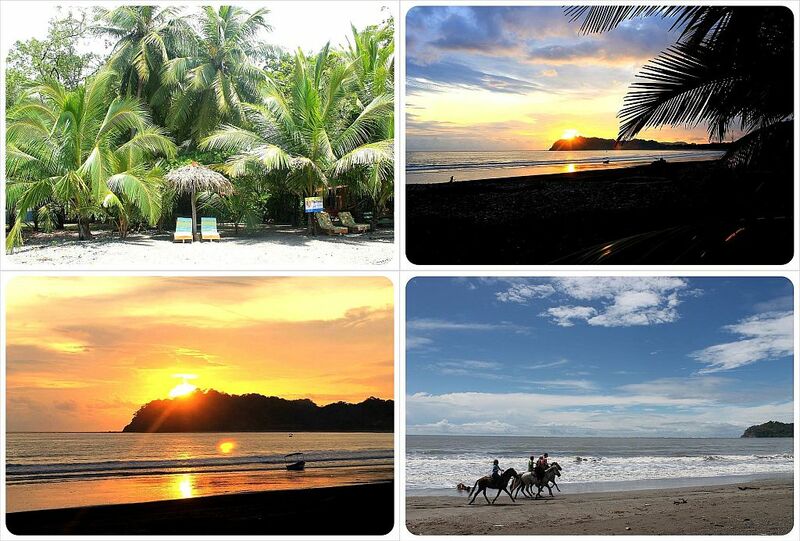 The rest of the budget spots are located a half an hour away in the main town of Quepos, requiring a 30min bus ride not only to get to the National Park (the main reason for your visit), but also to the beach and back every day (there is no beach worth visiting in Quepos). 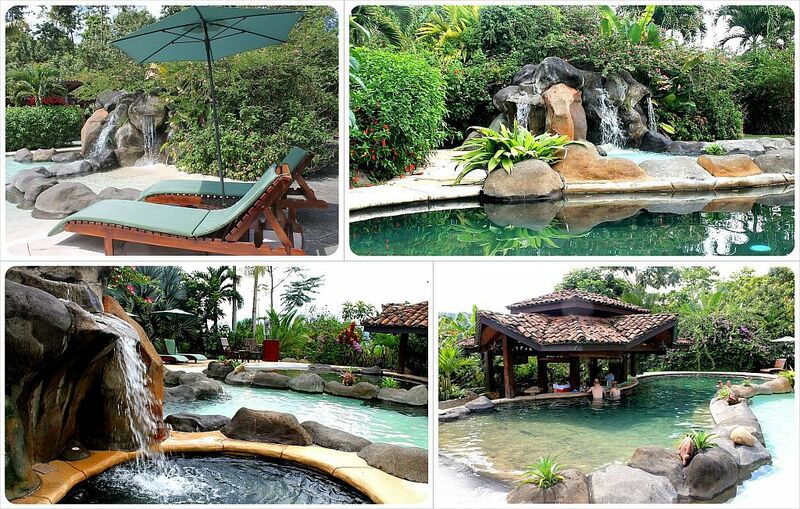 This great location is available for $10 per person per night, easily half the next best hotel price Manuel Antonio town. The majority of hotels throughout Costa Rica are comparable to U.S. prices, making Backpackers Paradise Costa Linda an absolute steal. In fact, we hope the owners don’t read this and realize just what a bargain they are offering! For 1800 Colones, or $3.50, the breakfast served up at the restaurant is large enough to fill you up until dinner. The first plate is spilling over with slices of fruit, and is followed by a second plate of scrambled eggs, bread and a heaping mound of our beloved Gallo Pinto. 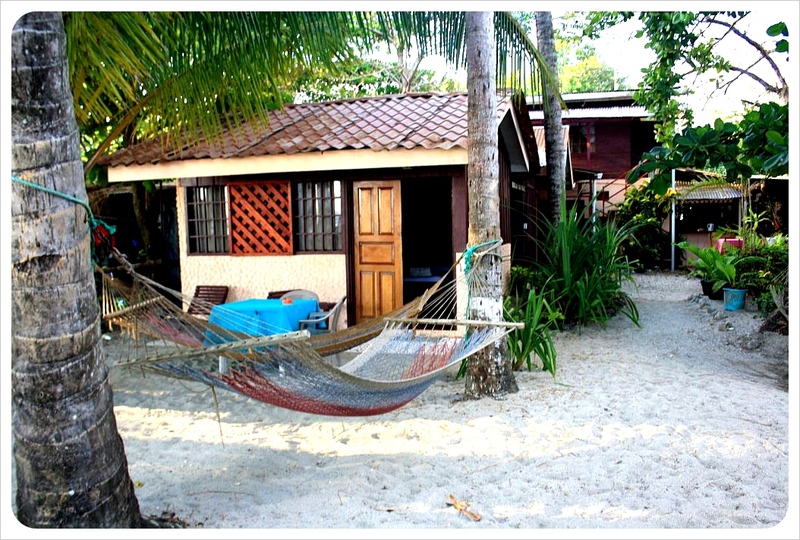 Last week we recommended Hotel Hansi on Bocas del Toro, Panama and stated that it was no surprise that the German-run hotel was so organized and spotless. This hotel is also German -owned and couldn’t be less organized if they tried. As you will find from the reviews on TripAdvisor for Backpackers Paradise Costa Linda, the hotel is filled with imperfections. Our negative experience centered entirely around customer service staff who were constantly stressed: the ladies in the kitchen were also responsible for the laundry, the waiters were also responsible for check-in and check-out. This led to everyone always waiting for something. The staff at this Manuel Antonio hotel seem to rely on the honesty of their guests, as our food bill was often wrong. This was sometimes in their favor – which we contested – and other times in our favor. While we were honest about really owing more, how many other guests wouldn’t take a free night’s stay or free bottles of water? When the wi-fi went out one day, the entire staff and the owner all just shrugged their shoulders and made no attempt to help – even when specifically showed the problem with the router and how to fix it. 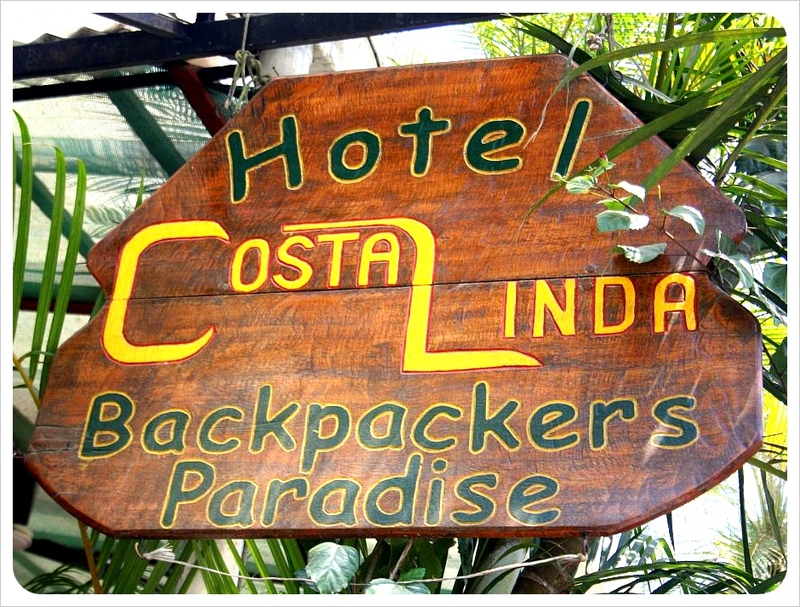 The lack of customer service and professionalism means that guests at Backpackers Paradise Costa Linda do actually get what they pay for – what more can you expect for $10 a night?! 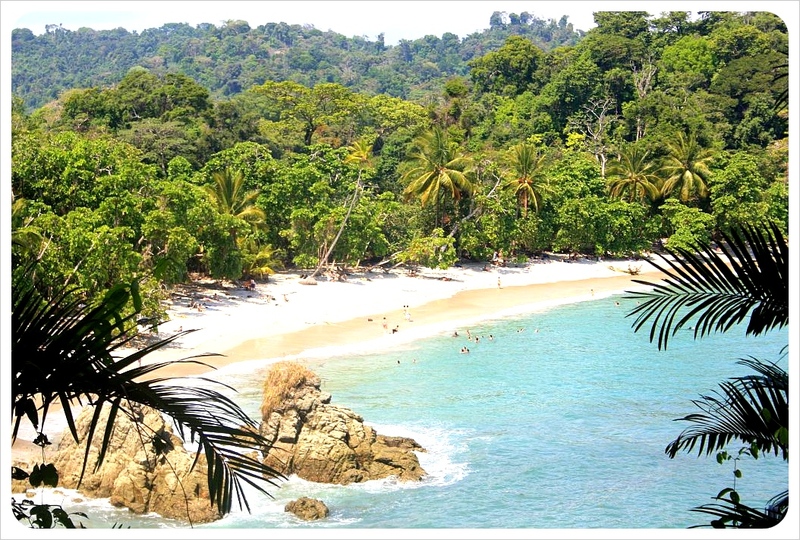 However, the location and the price literally can’t be beat, which is why we recommend budget travellers to take the bad with good, and book this hotel in advance for their Manuel Antonio visit. Location: Turn left into the road up the hill at the main bus stop in town and walk for 100 meters. You will see Costa Linda Backpackers Paradise on the left side. Price: $10 per person in a single, double or dorm. LGBT Friendly: No idea, they would never notice. Welcome to our weekly series Hotel Tip of The Week. Being on the road every day of the year means we stay at countless hotels along the way. For all the dingy, disappointing budget digs, there are as many budget accommodation gems. We post one hotel tip of the week, every week, of places we feel confident recommending after having tried and tested them ourselves to show you how budget travel can be possible as well as enjoyable. 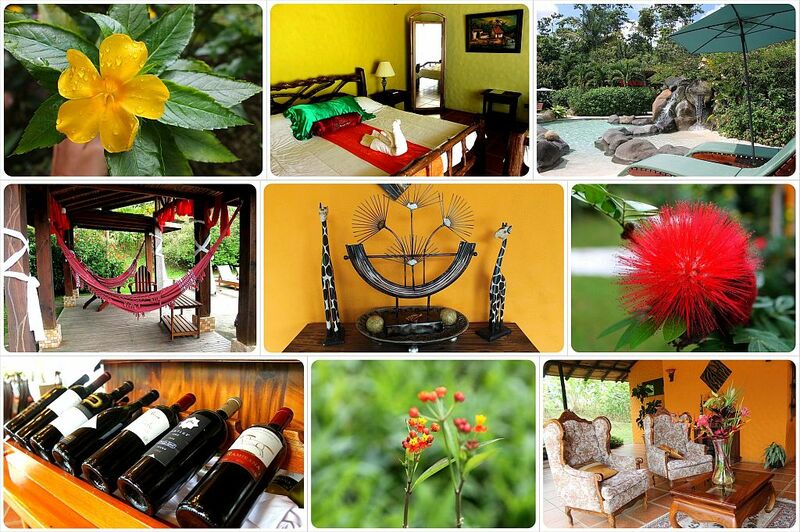 As one of Costa Rica’s top tourist destinations, Monteverde Cloud Forest has no shortage of accommodation, ranging from luxurious spa hotels to simple campsites. 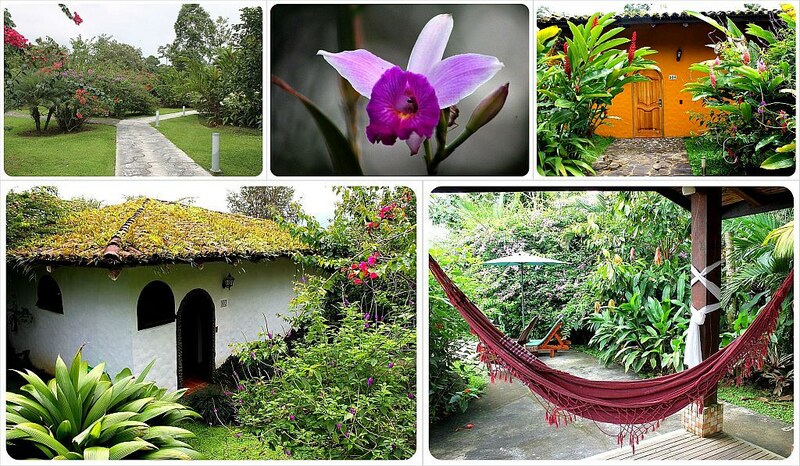 High-end hotels are set deeper into the forest on the main road leading to the National Park while most of the budget accommodation is concentrated in the nearby town of Santa Elena, an easy 6km bus ride or enjoyable hike to the park. 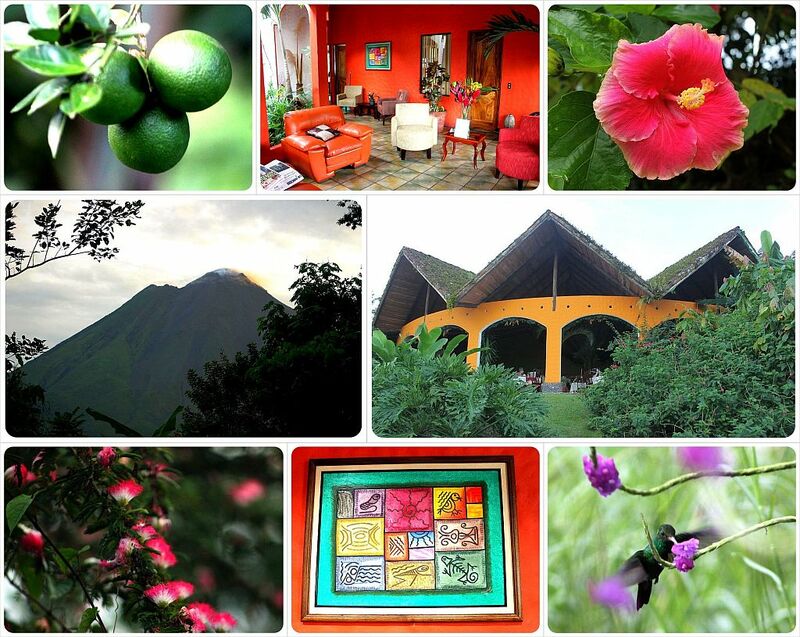 There are over 20 hotels to choose from in Santa Elena, and most fall within the same price range and offer similar amenities. When looking online beforehand, we instinctively chose Cabinas El Pueblo, which offers all the things we usually look for in a hotel: free wi-fi, private rooms, and a lounge area where we can work. We were definitely not disappointed. In fact, from the time we arrived into Santa Elena we were pleasantly surprised at every turn. Stepping off the bus after a nine-hour ride from the heat of Manuel Antonio to the chilly mountain town, we were greeted by the friendly hotel owner, who knew our names and led us down to the hotel. Once our packs were stored in our clean and cosy double room, we were shown around the hotel, given a map of the area and all of the hiking and tour options were clearly explained to us so that when we left shortly after for dinner, we felt we had a handle on everything to see and do in Monteverde. Cabinas El Pueblo in fact doubles as a tour agency, and guests can book all tours and activities onsite: the Cloud Forest tours (including guides), horse back riding, night hikes, zip-lining, butterfly gardens. Prices are the same as through the agencies in town and Cabinas El Pueblo promise a full refund in case of cancellations. This is something that other tour agencies do not promise, apparently, which is made perhaps a little too clear on the signage throughout the hotel (see Room for Improvement below). 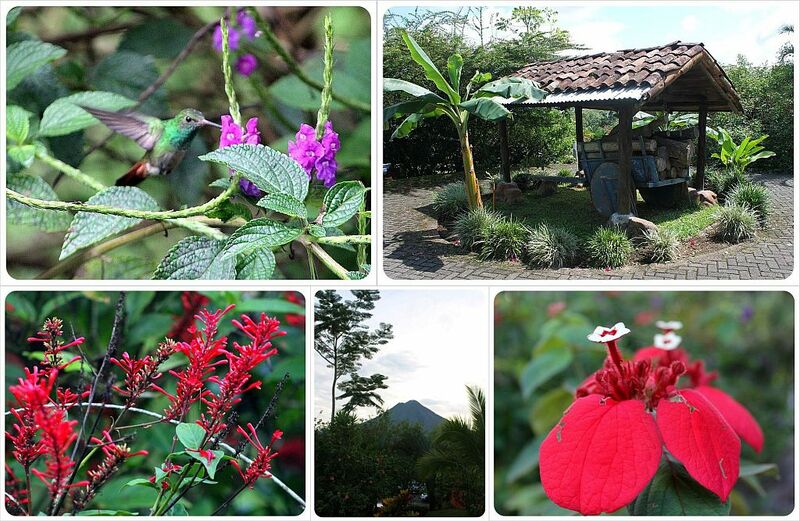 We immediately felt right home at the ‘cabinas’, which in Costa Rica usually means a guesthouse. 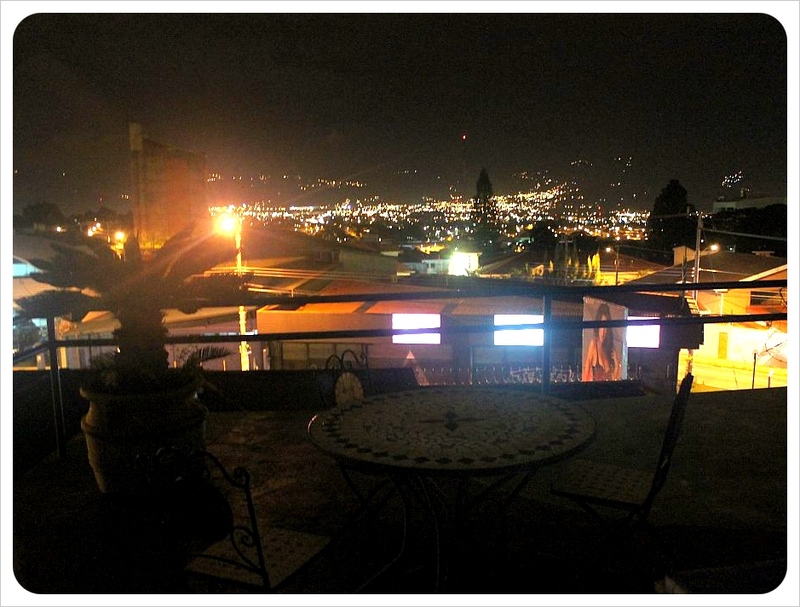 Even basic accommodation in Costa Rica tends toward expensive, so the $20 double rooms seemed like quite a find. There are two clean shared bathrooms with hot showers on the bottom floor, which the five doubles share with a small three-bed dorm ($10 per person). The spacious private double rooms upstairs not only have en-suite bathrooms but also come equipped with a fridge for $35. The living room has a TV and board games for guests, and the outdoor patio has hanging chair hammocks and a big table. The wi-fi works well both downstairs and upstairs, and those without a laptop can use the three computers upstairs in the office for free. As most visitors to Monteverde spend much of the day and also evenings out on hikes, the hotel stays quiet during the day, and evenings are also quiet as tuckered out guests head to bed relatively early. This peaceful environment and mountain fresh air was perfect to get work done as well – for the workoholics/digital nomads out there. Cabinas El Pueblo is a three-minute walk from the town center, and the supermarket is even closer, which makes it so easy to find everything you need to cook up a meal or make sandwiches here in the well-equipped kitchen (see Stand Out Features below). This kitchen is kept absolutely spotless and comes fully equipped with an electric kettle, coffee maker, toaster oven, toaster, two stoves and a fridge, which while pretty full, still fit all our items and was also clean. Cabinas El Pueblo not only provides a coffee maker but also delicious Monteverde coffee, and allows guests to put on a new pot anytime. Tea drinkers have an even better deal, thanks to the full selection of teas available, the best we have seen anywhere in Central America, with English breakfast tea, herbal tea, two different fruit teas and Earl Grey. Free milk for both is also provided. Although several of the signs throughout the place say that breakfast is only free if you book a tour with the hostel, breakfast was included every day. Guests sign up for one of two breakfast options written on a whiteboard the evening before. 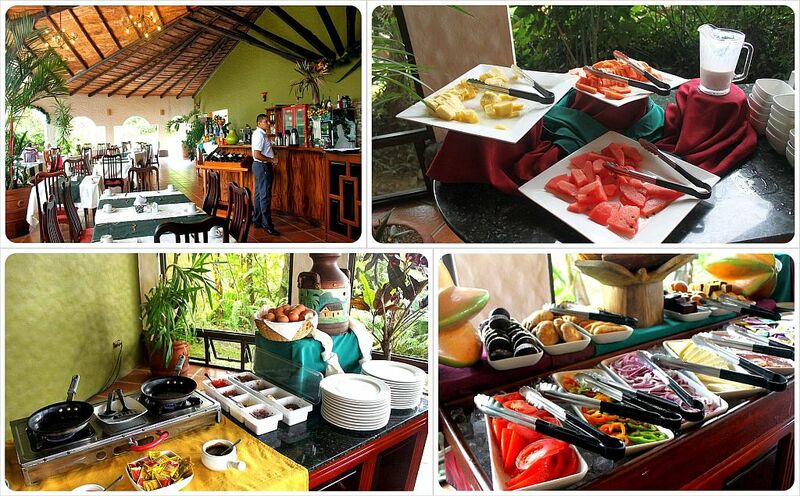 Breakfast varies daily and always includes fresh fruit and either tea or coffee. 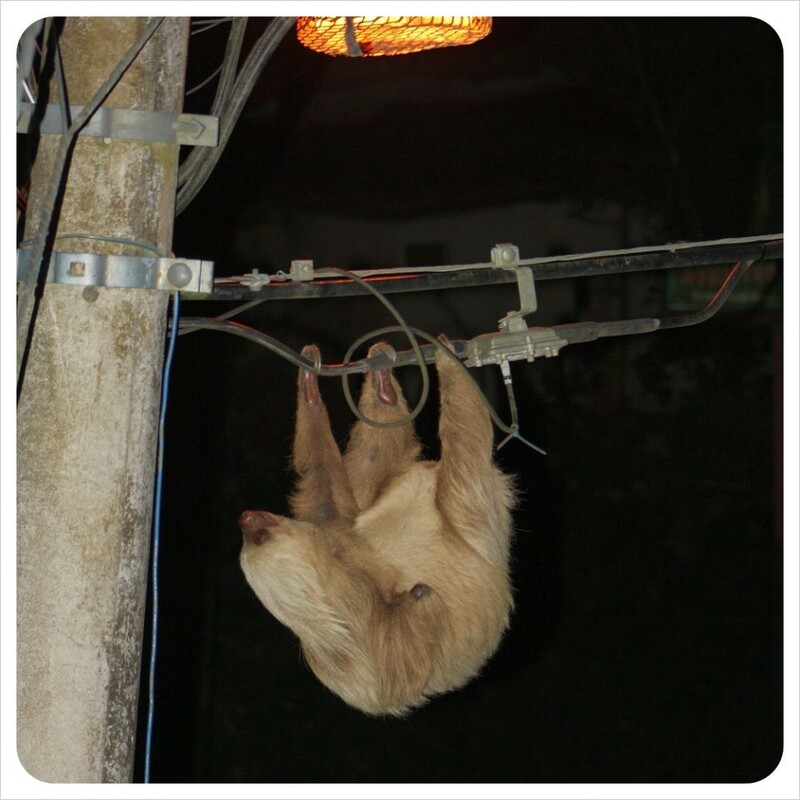 There are a couple of sloth families living across the street from the hostel who are frequently seen moving along the electric wires that run alongside the street at night (sad, but true, and these animals are fascinating!). Sitting in the kitchen after spending a good part of a night hike spotting sloths, the owner excitedly ran in and ushered us all outside to watch the sloth make its way along the wires. 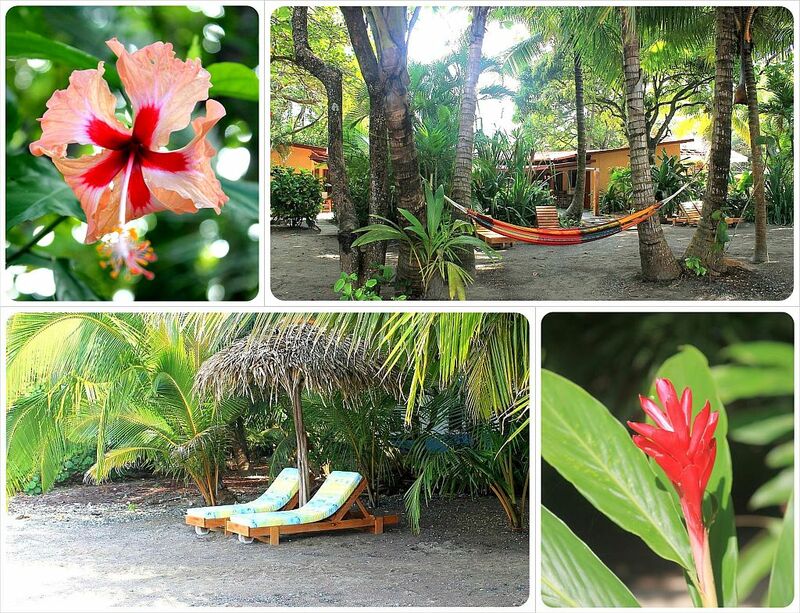 Until this point, everything at Cabinas El Pueblo seems to be set up to cater 100% to the needs of guests. However there was one point that needs massive improvement and is a serious pet peeve of ours. From the minute you walk into the hotel, you are bombarded by information as every available bit of wall space is plastered in signs. Not exactly the commanding military-like signs we’ve seen elsewhere which constantly screech NO in clipped commands, at Cabinas El Pueblo signs are long, drawn-out affairs in very jumbled English explaining everything from what guests are allowed to do, what they are not allowed to do, more information about the town, more information about your breakfast (commission made from booking with the hotel’s agency allows them to make breakfast free for everyone), and a few things we did not understand at all but think there may have been a fine involved for breaking the rule. 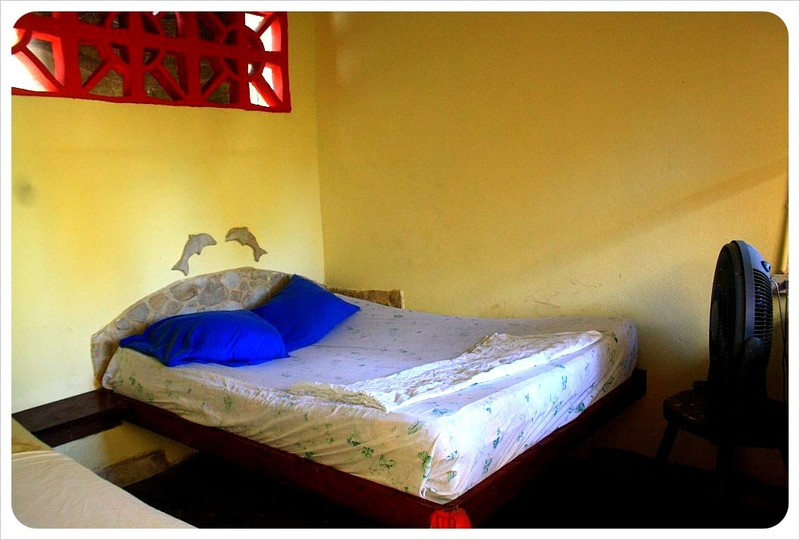 Cabinas El Pueblo is run by friendly & welcoming Ticos who clearly aim to run a clean, well-maintained hostel and keep guests happy. The tour agency on-site makes info readily available, and the super-clean kitchen, comfortable beds and ample relaxation space makes the hotel a great spot to recharge your batteries for a few days. 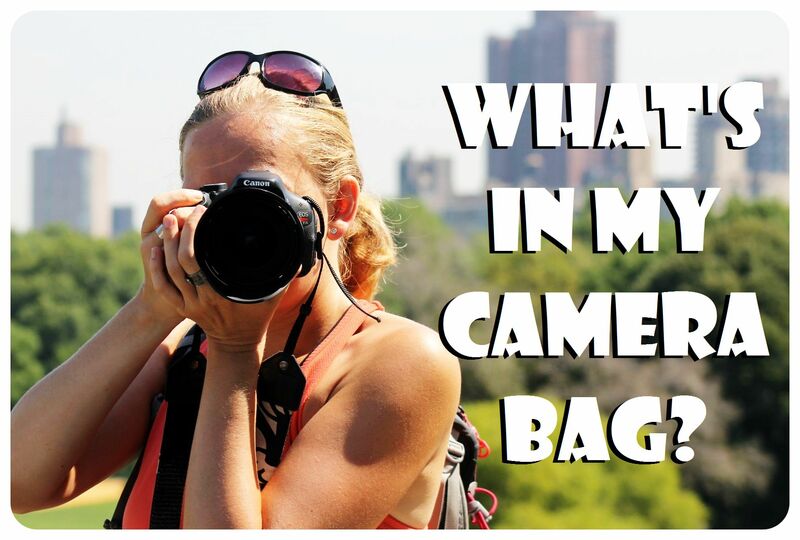 The Sloth Backpackers Hostel right next door is run by the same family and comes with similar amenities (including sloth sightings!) should Cabinas El Pueblo be full. Location: Down behind the supermarket and 50 meters up the road, but if you call ahead, you will be met at the bus stop upon arrival. 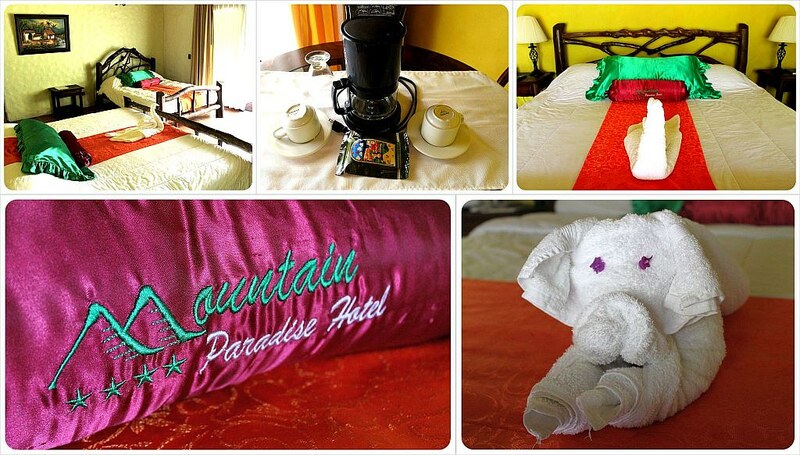 Price: Double rooms with shared bath US$20, Doubles with en-suite bath US$35, dorms $10. 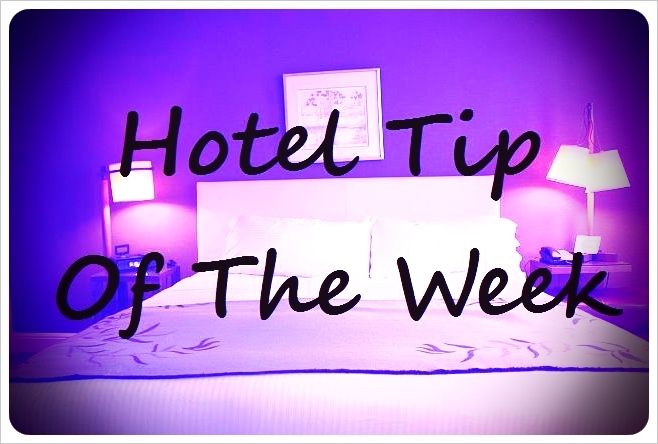 If you found this post useful, check out the rest of our Hotel Tip of the Week series.